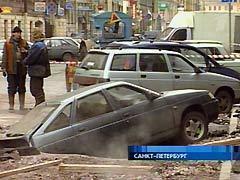 Yesterday a sinkhole was reported in the center of Saint Petersbourg, due to a thermal tube disruption. A couple of cars sank, and a plumber operator was injured. Source: the 1st Channel of the Federal Russian TV.